Can You Dig It? Yes, In This Digger Driving Experience! If you’ve ever wanted to move mountains, now's your chance. Take the driving seat in a mammoth excavator, crank up the power, and feel the earth move in more ways than one as you dig, dump and bulldoze your way around this unforgettable experience. This is the driving experience to end all driving experiences. In this experience, you’ll get to haul yourself behind the wheel of a mammoth construction machine. I'm not talking Average Joes here. These are the real bruisers of the construction industry with mega weigh-ins and all the trimmings – tracks, scoops, loaders and shedloads of horsepower. Whether you’re digging, dozing, dumping or just driving around with a huge grin on your face, it’s a truckload of fun. 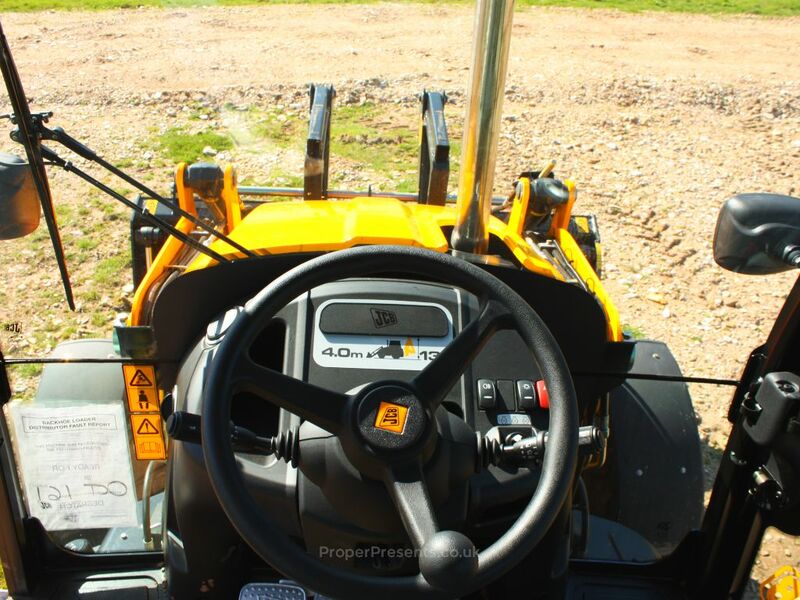 If your idea of a perfect day out is getting to grips with a mammoth JCB and discussing the finer points of torque and tension, the JCB Digger Driving experience will be right up your street. Forget digger racing and dumper truck challenges – this is your chance to get into the driving seat and enjoy an exhilarating experience on all things excavators. But it’s not just any old earth-mover. This is a JCB 3CX backhoe loader, splendid in trademark yellow, which you’ll get to experience in all its gritty, gutsy glory. Learn how to drive and control all 8.5 tonnes of this resplendent burly beast, take it for a spin, dig and backfill holes and much, much more. You’ll learn some seriously swish skills and feel the earth move as you pick up all manners of ground-breaking tips and tricks in this excavation escapade that’s seriously heavy-duty fun. As experiences go, this one’s pretty mind-blowing. If you’ve ever gaped open-mouthed at the dexterity of working diggers, or if a JCB calendar is top of your Christmas list, you’ll have a ball at this JCB digger driving experience. For the more serious student who’s keen to get a handle on the finer points of these mean machines, and who could quite happily discuss backhoe loaders or dig holes from dawn ’til dusk, this could be the making of you. The only problem? Once you’ve climbed down from your yellow perch, everything else just feel a touch, you know, inadequate. And small. But no matter, this might just be the start of a brand new day. You’ve been there and got the calendar. So who knows where this digger driving session could take you? First things first, let’s talk about the experience. The world-famous JCB logo is a common scene on construction sites all over the UK and beyond, hauling tonnes of rubble and digging trenches that could swallow a house. It’s impressive stuff. So anyone worth their salt would jump at the chance to get inside one. That’s what this experience is all about – and so much more. You’ll learn the ins and outs of excavators from Diggerland’s resident JCB experts. They know everything there is to know about these mammoth earth-movers, so get your questions at the ready. 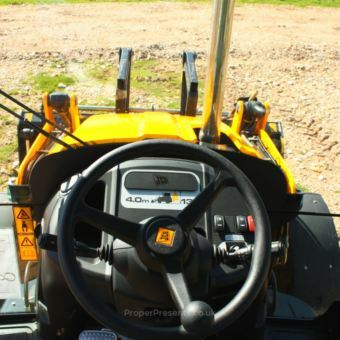 You’ll drive a genuine JCB 3CX backhoe loader which comes with a price tag of upwards of £50,000. 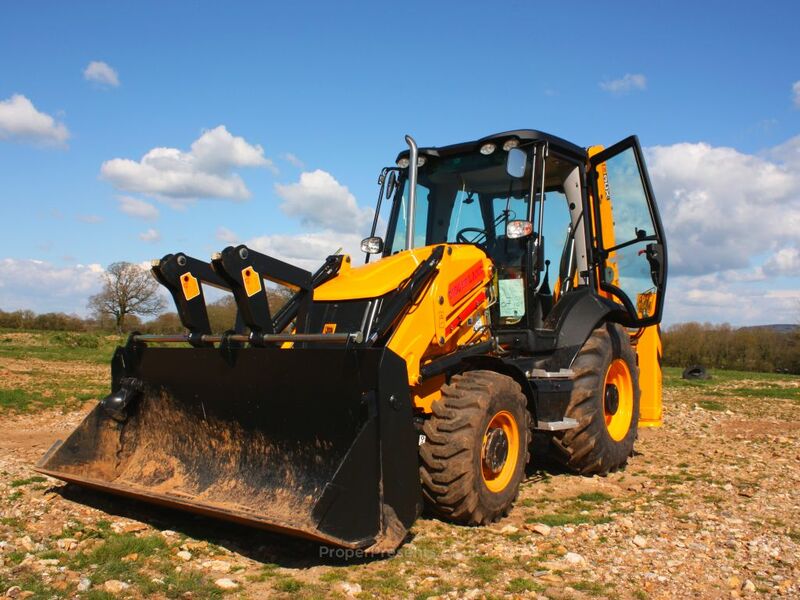 This is the original and still the best – after all, Joseph Cyril Bamford developed the backhoe loader concept back in 1953, so you’ll get to climb up and put your foot down in one of the world’s best-known and most efficient working excavators. Save for washing up, there isn’t much this mighty machine can’t do, and you’ll get to grips with its nifty controls, powerful tools and its many different technical features. One word: unforgettable. Once you’ve had your intro and safety briefing, it’s time to climb onboard and grip the mighty steering wheel for the first time. Most sessions take place in small groups, with each driver assigned their own personal digger. This is the good bit. This is when you get to try it out for yourself under expert tuition – driving around, using the controls, digging holes, filling trenches, and generally doing all the things you’ve been dying to do since you were about three. By the time you climb down from your gleaming tower (probably quite mucky by now), your head will be buzzing. It’s fair to say as experiences go, this one is pretty invigorating – and as far from your average day out as you can get. Drive a 25 tonne 6×6 Articulated Dumper Truck, a Mini Digger, a Mid-range Excavator, and the near-legendary Liebherr 911 Bulldozer. With experts showing you the ropes, you’ll learn how to drive these monstrous construction machines and try your hand at loads of cool stuff like digging holes, shovelling earth and bulldozing. Talk about extreme thrills. But the thrills don’t stop there. Once you’re done playing Bob the Builder, you’ll climb up into a humongous tank for the passenger ride of your life. Exactly which tank will depend on availability, but you can rest assured it will be a serious military mean machine with caterpillar tracks, turrets and ridiculously heavy armour. We’re sorry, but driving your car will never feel quite the same again. WHEN: Events take place on selected dates around the year, normally between March and October. WHERE: Events normally take place in Devon, Kent, West Yorkshire, and Hampshire. WHO: Know someone who loves big shiny diggers? This experience, unlike digger racing or dumper truck racing, is all about learning the ins and outs of using a digger. It's an ideal experience for the mechanically curious and the construction obsessed. OCCASIONS: The opportunity to drive a digger, a boyhood dream of many, makes an ideal birthday or Christmas present. It's also a good choice for Father's Day. What is it about diggers that so many people love so much? Is it the danger? The daring? The once in a lifetime chance to try something new and exhilarating? Perhaps it’s the idea of making (or destroying!) something in a big and bold way that really gets the blood pumping and the heart racing. Whatever it is, these massive beasts and loved the world over, with only the lucky few able to use them in everyday life. But what if that could change? What if you could have a go? Power, fun, and excitement are all rolled into one huge day out when you do actually get behind the wheel of a big digger. There’s mud, there’s destruction, and there is most certainly a lot of muscle involved in this epic adventure. When you arrive at your muddy and grubby (in the best possible sense, of course!) venue, you’ll be warmly welcomed by enthusiasts just like you. You’ll have a lot to talk about, but don’t chat for too long, as there is a safety briefing to attend. 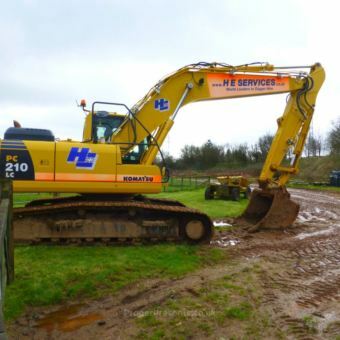 You’ll learn more about the machines you love (in this case, the Komatsu PC210 excavator), how they work, what they do, and how to drive one. You’ll also be fitted with your safety equipment (high vis jacket, hard hat, and safety boots) so that not only will you not come to any harm, but you’ll look the part too. Then it’s on to the drive itself. 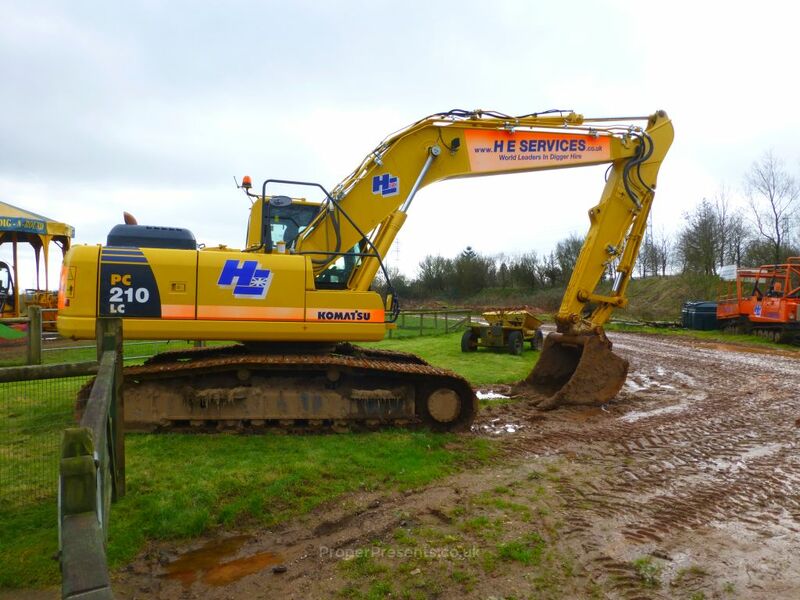 Get comfortable in the Komatsu PC210 excavator and try your hand at digging holes, and filling them in, trying not to spray everything with muck as you do so. Think it looks easy? Just wait until you give it a go – dexterity and coordination are just as important as full on enthusiasm (but don’t forget to add a bit of that too – it’s a fantastic day out, after all!)! So just what is the price of the construction medley? Medley experiences usually cost under £200, but I can’t find anyone stocking this combo experience right now. I would like to buy the construction medley. Where can I get this experience or something very similar from ? I’ve had a look at what’s around at the moment and the construction medley experience appears not to be available right now. That may well change in the future though as it disappeared from my searches for most of last year before reappearing near Christmas. Digger driving at Diggerland would be equally as interesting in my opinion. I want to book a mini digger driving experience for my wife as a present. We live in Cambridgeshire, near to Huntingdon. Events normally take place in Devon, Kent, West Yorkshire, and Hampshire, depending upon the experience you choose. You appear to live about equal distance from Diggerland Kent and Diggerland Yorkshire which are your closest locations. Both are around 2.5 hours drive away.